Your first survey is created for you. Answer the questions yourself to test it out if you want to. 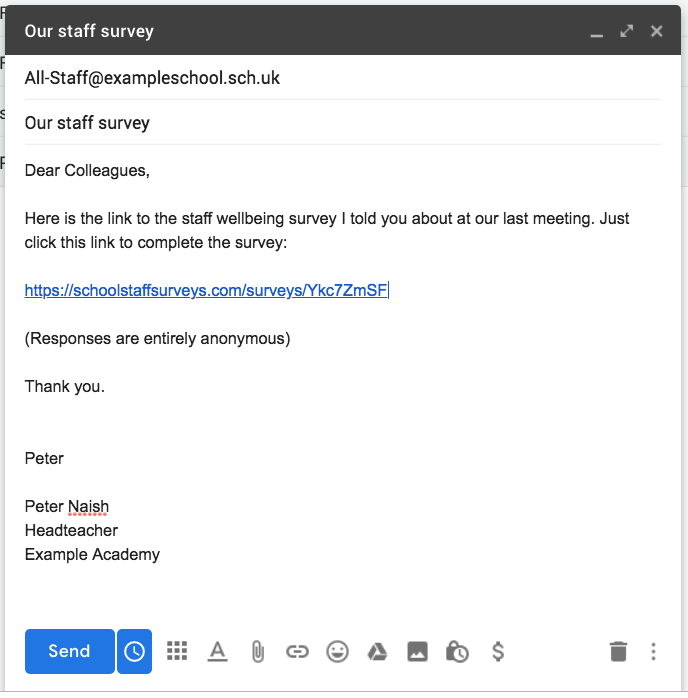 Each survey in your account has a unique web address which you can send out to your staff. When they visit that address, they will be able to submit their answers to the survey. 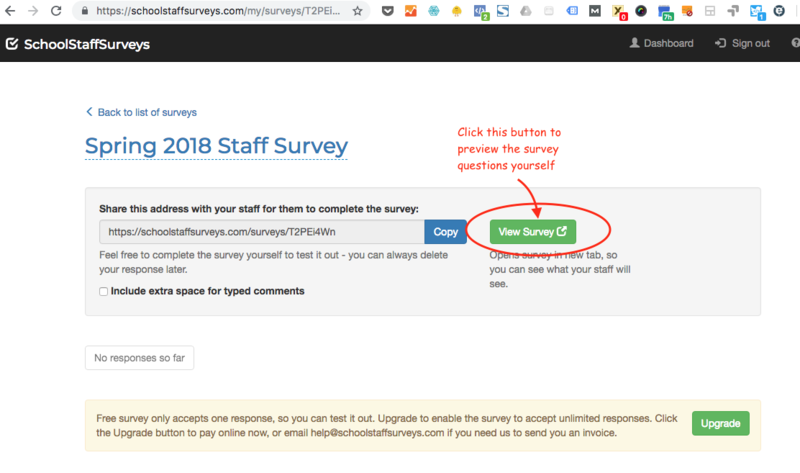 To complete the survey yourself to test it out, just click the View Survey to open the survey in a new tab. Answer each question however you like - you are just testing things out. You can delete your response later. After answering all the questions, click on Dashboard to get back to your account. Note that only you can access your dashboard because you are logged in. 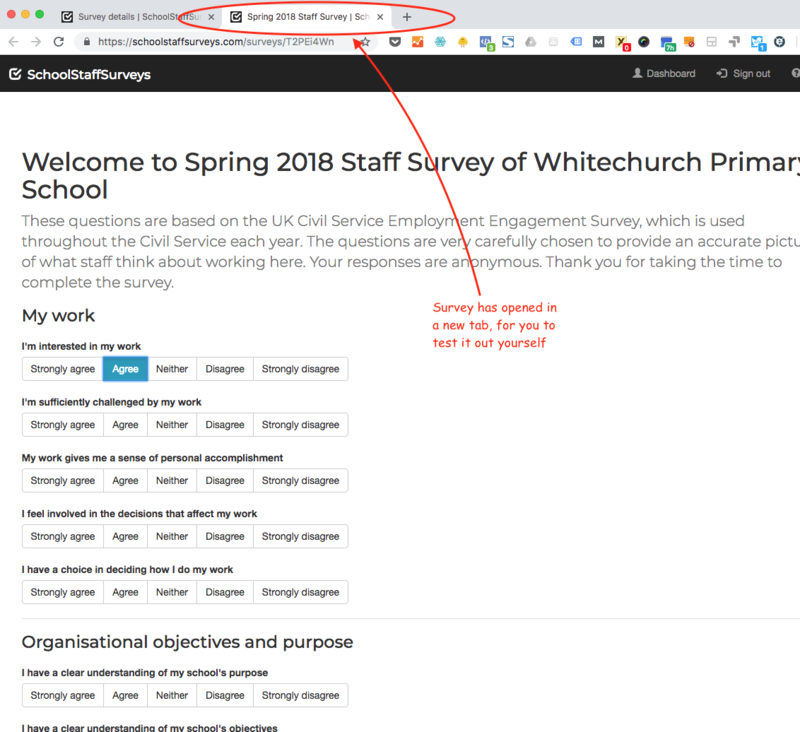 Teachers completing the survey can only reach the survey response page to enter their responses - they can't access your dashboard. Clicking the upgrade button will allow you to pay the upgrade fee of £100 online. The upgrade is effective immediately - as soon as you complete the payment, the survey will be unlocked to accept unlimited responses. If you'd rather pay offline (e.g. by bank transfer), then we can send you an invoice - just email help@schoolstaffsurveys.com and we can send you an invoice to pay off line. Now just wait for staff to complete the survey. 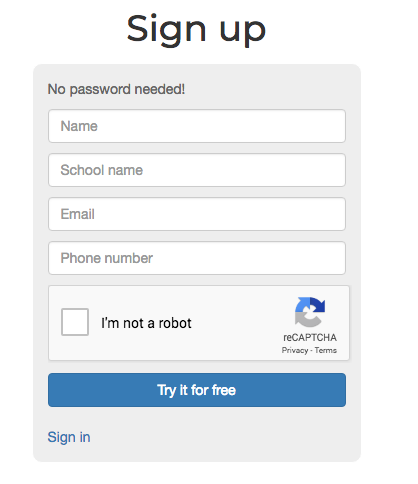 You will get an automated email alert each time someone completes the survey. 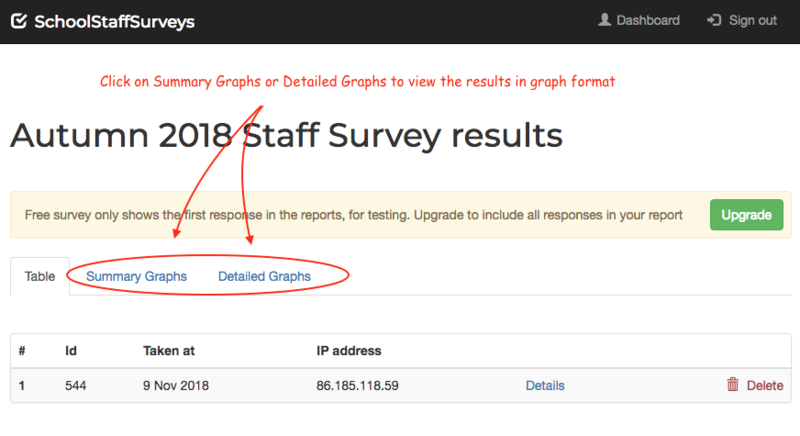 The results graphs are updated immediately, each time a response comes in. 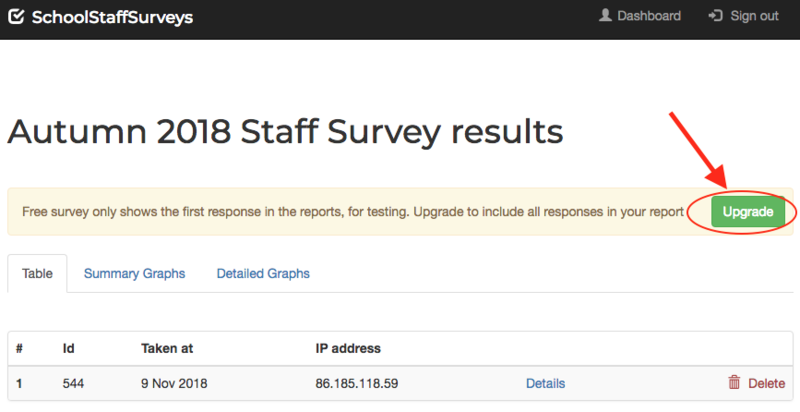 Remember that each survey has its own unique link - go to the Details page for each survey and get the relevant link. 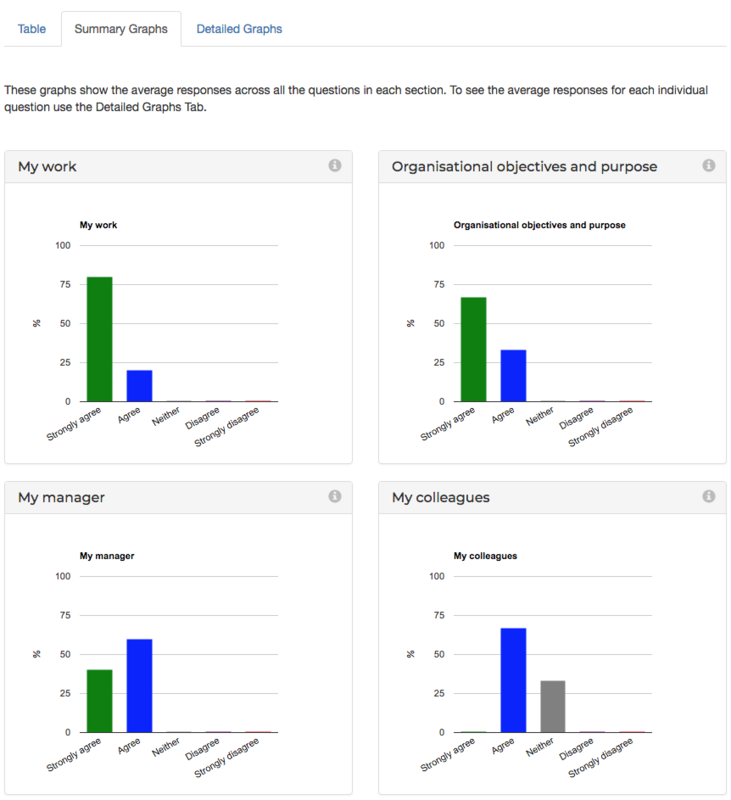 Send each link to each group of staff, and then you will receive a separate set of responses from each group. 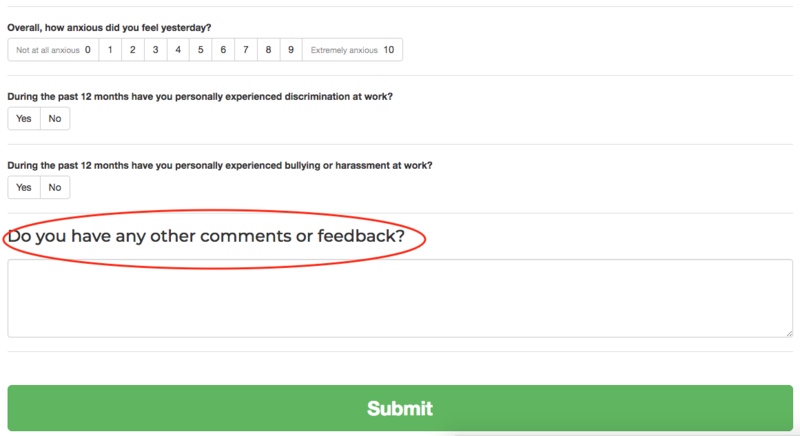 Remember to choose this option before you send the survey out to staff - once a survey has some responses, you can't remove or add the comments box (to ensure that everyone who completes the survey has exactly the same experience). You will see all the comments at the end of the Detailed Graphs page.